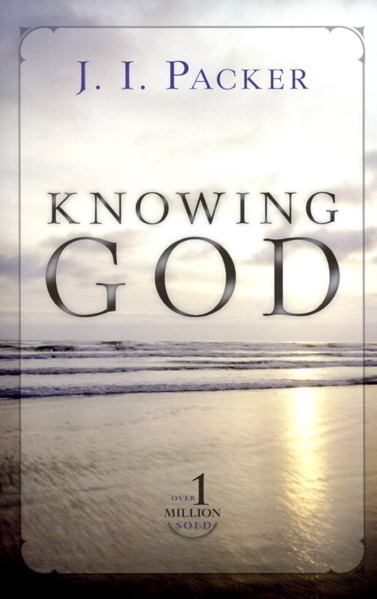 In Knowing God (p. 97, my emphases) J. I. Packer writes about how to understand the “unexpected and upsetting and discouraging things” that happen to us. What do they mean? Simply that God in his wisdom means to make something of us which we have not attained yet, and he is dealing with us accordingly. Perhaps he means to strengthen us in patience, good humor, compassion, humility, or meekness, by giving us some extra practice in exercising these graces under especially difficult conditions. Perhaps he has new lessons in self-denial and self-distrust to teach us. Perhaps he wishes to break us of complacency, or unreality, or undetected forms of pride and conceit. Perhaps his purpose is simply to draw us closer to himself in conscious communion with him; for it is often the case, as all the saints know, that fellowship with the Father and the Son is most vivid and sweet, and Christian joy is greatest, when the cross is heaviest. . . .
Or perhaps God is preparing us for forms of service of which at present we have no inkling. We may be frankly bewildered at things that happen to us, but God knows exactly what he is doing, and what he is after, in his handling of our affairs. Always, and in everything, he is wise: we shall see that hereafter, even where we never saw it here. . . . Meanwhile, we ought not to hesitate to trust his wisdom, even when he leaves us in the dark. But how should we respond to baffling and trying situations when cannot now see God’s purpose in them? second, by seeking God’s face specifically about them. In these times of pain and distress, the ‘old-man’ urges us to withdraw from God and question what He is doing. If we even partly understand God’s Providence we can rest firmly in His arms and trust Him ‘KNOWING’ that He does know what He is doing. We must be obedient and draw close, letting His Words sooth and give that trust – read, pray, meditate & meditate some more. For the believer (unbelievers too) , not trusting and questioning God is sin.